Earl Nightingale stated that “Success is the progressive realization of a worthy ideal.” But what if you don’t have a worthy ideal? What if you don’t feel deserving of success? You will be given examples of what may have been blocking you and keeping you from achieving what you came here to do. Is something tugging at your heart strings that you’d like to do, be or have? Find out what just might be keeping you stuck and struggling in this very abundant Universe. What are the barriers to Prosperity and Success? How does my Emotional State contribute to my Financial State? You’ll be given some words of wisdom from Dr. Wayne Dyer, Dr. Norman Vincent Peale, President Roosevelt, and more. 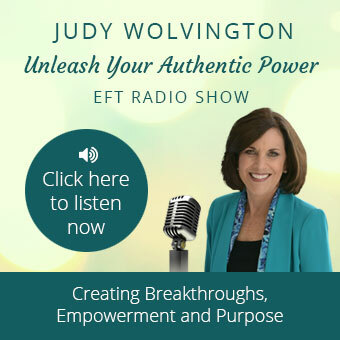 EFT is a great technique to use to change our energy vibration around success and money. We must get CLEAR on our goals and vision for success by removing Counter-Intentions. We can state our intentions all day long, but if we have an inner belief that is opposed to our intention, we will sabotage our results. 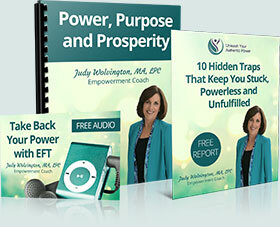 Are you ready to tap into your Essence of Success?